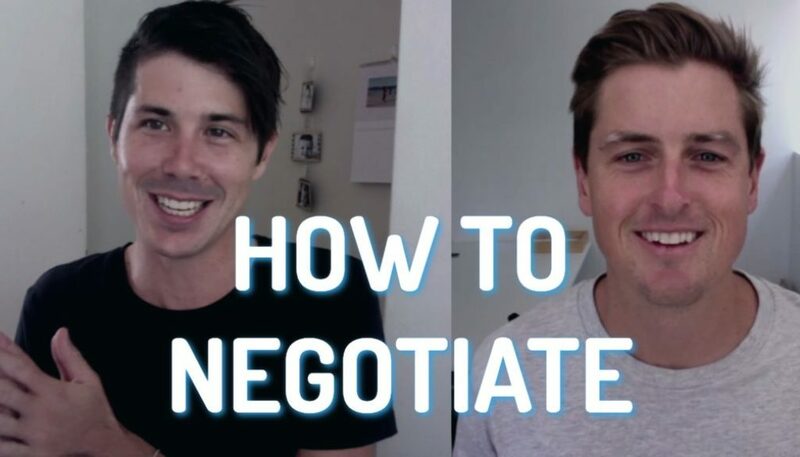 Today I sit down with Ben Everingham from PumpedOnProperty.com and we talk about his investment journey as well as some tips for buying your first property. Hi Guys. 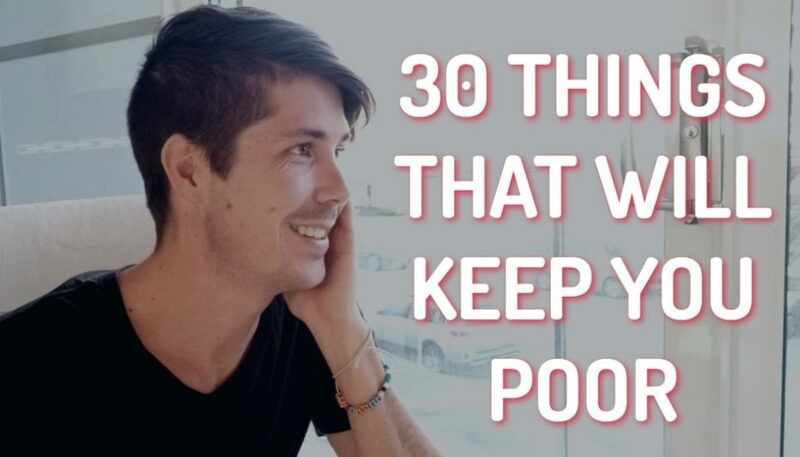 This is Ryan from onproperty.com.au your daily dose of property education and inspiration. I’m very excited to have with me today Ben Everingham from pumpedonproperty.com. Ben is a very young investor but a very successful investor. He has invested in many properties himself and he’s now helping to teach other people how to do the same or similar things. Ryan: Thanks for coming today Ben. Ben: No problem Ryan. Thanks for having me here. I really appreciate it. Ben: Pumped On Property in a nutshell is really around as you said just supporting young investors that are under 45 who are really thinking about getting into the market or are currently in the market and are looking to take it to that next level. 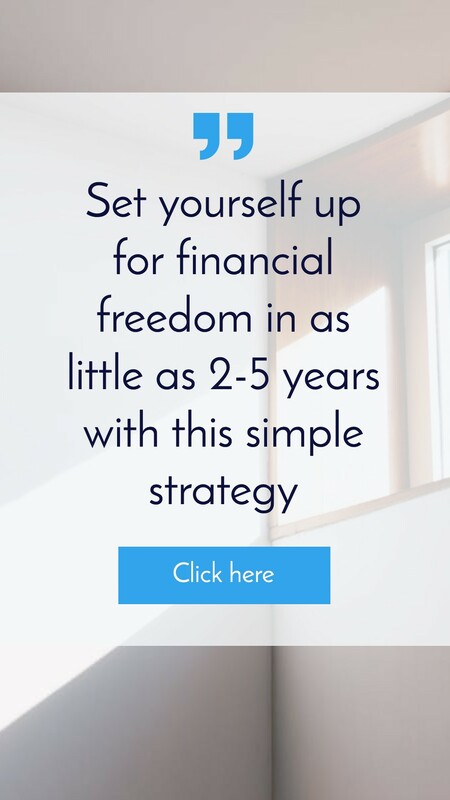 It’s really just about sharing quality information, checklist, videos and helping people to achieve that longer term financial independence which I think is what we’re all aspiring to work towards as well. Ryan: Yes that’s what that the dream is so that we can do what we want with our time and with our money. What’s your property story? Taking it back to the beginning, when did it start? When did you start getting interested in property? 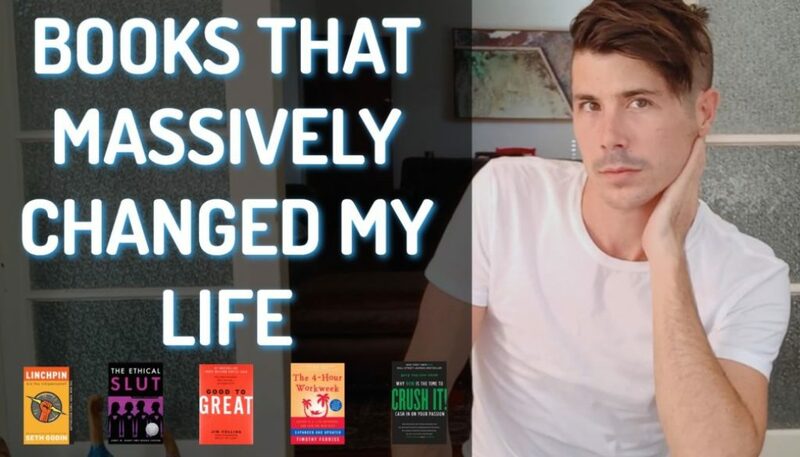 Ben: I’ve actually read and obviously have been following On Property for a long time even before I started Pumped On Property and you talked about 0 to 135 Properties in Steven McKnight’s book so it is a combination of reading that book and Robert Kiyosaki’s Rich Dad Poor Dad when I was in my second year at the university. Unfortunately my university degree took me four years so I was aspiring to do something with my life for a long time before I actually got to be doing anything with it but it was at a real foundation. My first year out of university I saved the deposit and then got invited to go to America with some friends on a trip and I actually completely spent that entire deposit on that trip, which it was a really good time but also a really good lesson. We had a really good trip and I’ve never spent that much money in my life. I came back and my father-in-law absolutely keeps me going forward and basically said it’s time to start again young man, to start looking after his daughter so I basically bought my first property which was a 3-bedroom unit in Sydney in 2010. I actually sold that unit like last year. I bought that unit with a couple of friends and like a lot of investors get to that point and unfortunately we had to cap that serviceability wise it was a natively geared property that we couldn’t manufacture any more growth into it so we and decided to sell that and began moving from there as well. Ryan: You’re a pretty young guy you must be married pretty young like me. I got married when I was 20 and I got my first kid at 22. How old are you? When did you get married? You have a kid as well, don’t’ you? Ben: Yes, I’ve got a little girl – Sommer and actually there is a little one on the way which is coming in three weeks which is going to be great. Ben: Unfortunately, we are not married yet, we are engaged. I still got a bit of slap about that from my family. Ryan: I thought you were because you said ‘my father-in-law’. Ben: No, I have been calling him that for about three years just having a bit of a laugh with him. Ryan: So you bought that one property in Sydney with friends as your first purchase. How did it go? I’m sure there’s a lot of people out there who probably are in the same place where maybe they couldn’t invest by themselves but if they got some friends together then maybe they could. How did you orchestrate that and make that happen and would you recommend it? Ben: Looking back in retrospect I definitely wouldn’t recommend it now. They are still my two best friends, and they will be best man at my wedding – that type of thing but there were some shaky times. In terms of orchestrating it, it was usually us getting together for a beer and I would go, “Oh I want to buy a property you guys can decide to jump in with us.” At the time we thought it would be easier to get in together and at the time we also didn’t realized that when you buy a property with other people you also take 100% of the serviceability of that property in your own name as well so pretty much we had bought this $300,000 property divided by three (3) people so we each saved 130 grand on it but to the bank it looked like all three of us owned a $300,000 property in our own rights and so obviously when you go to buy your 3rd, 4th 5thproperties the serviceability just doesn’t really doesn’t stack up. Ryan: It comes back to haunt you. For people who don’t understand, the reason why banks do that is because if your two friends decided to default on the loan and disappear overseas or something like that you would still be left with the full mortgage that you would have to pay for so that’s the same for every single person that’s involved in the loan so that’s why even though you may only be responsible for maybe a third of it in your agreement in terms of the banks and they’re looking at worst case scenario so they kind of attribute the whole thing to each one of you, so it’s kind of like $900,000 across the three of you instead of $300,000 so for people who didn’t understand why that would happen that would be why. What happened after you invested with friends? Was that a good investment? Did that help you get to the second property or what happened next? Ben: I was pretty keen and had pretty much saved another deposit even though 3 to months of it took me to get into this property I only put $12,000 of my own cash into the first property because I was buying with other people and we were eligible for the first time buyers grant so I may be get the rest back into the market with another friend and bought a property in New Castle at a place called San Remo. Ryan: That is actually literally about two minutes from where I used to live. Ben: Yes. I mean it’s not the most glamorous suburb of all-time. Ryan: They called it ‘Scomoury More’, the people who live in the area. Ben: I’ve got a story about recently doing an inspection at that property and a couple of dogs and some spray painting and some holes in the wall which was a good one and that being another story at another time. In a nutshell that property is actually being awesome, it is growing from a capital gains perspective by 13% to 15% year on year since we bought it. It’s also currently giving us a rental yield of about 9%. We are building a little granny flat there at the moment which will take the rental yield to about `16% so in the short term future I’ll definitely hold it. Again, it’s just when I get to that serviceability that I am accountable for that will be the time that we begin considering what we do with that property. Ryan: I find granny flats very interesting because they seem like a very easy way to boost chief cash flow if you can get the finance approval to get it done. What made you decide to add a granny flat and for those who don’t know San Remo is on the very north on the Central Coast which is just north of Sydney before Newcastle. Was it hard to get a granny flat approve on the Central Coast which isn’t really like a Sydney so to speak? Ben: Yes. The good thing about this property is that the last guy who owned the property wait for this property to Frankenstein because apparently at one point he had people leaving downstairs, people living upstairs and people living in his granny flat all set for sub made all with their own electricity and water accounts and we didn’t realize it at the time because he basically did the building and pest inspection on the place and didn’t tell us. We were so blind we really had no idea what we’re doing on those first couple of properties and so we were virtually gone through the council rates to get this granny flat reapprove and the council guy said he knew the problems with this property already and he advised to get this granny flat approved we have to do 3 or 4 pages of points for the property to change it back to its original form before we can get it approved and which again was a good experience and a good way of finding those sort of loop holes that are in council. In terms of getting the granny flat approve because it was an existing dwelling all three would need a building certificate and pretty much anyone now in New South Whales can get a granny flat approved within 7 business days roughly from there. The planning has changed in New South Whales which makes it a lot easier for people to get into that market if they want to. Ryan: How did you go about the building, you just get a builder to come around and check the property? Is that how it works? Ben: We got a cement company to come and check the property and we got stitched up for $1400 and we hadn’t actually any further results and again and we look pretty grand it was the first time we have done a granny flat so one thing put the stick in the council that was when council bounced back and sort of told us what we needed to do, so it’s really been us, a builder, the severance Council sort of working in partnership together now to splice this granny flat back through the council and that’s sort of the stage that we have just gone through now so we will begin renovating it in the next month. Ryan: Okay. 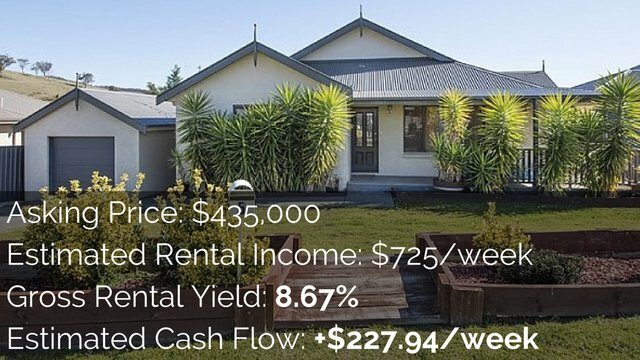 That will then add to the rental yield making it more positive cash flow. Is that the idea? Ben: Yes so that should get us another 200 bucks a week and again just take that property that cost us this $200,000 to rent out at about $600.00 per week so it’s a good rental yield. Ryan: That’s a pretty amazing rental yield for anyone who is listening what rental yields are like and what’s good and what’s bad that’s pretty good, you got to be very happy with that. Ben: It’s been a lot of pain to get there but in fact we will get there one day. Ryan: So you have had two properties, one you obviously sold, have you got more in your portfolio? Ben: Yes, in 2012 my partner and I bought our first little home which was which just dead set 9×7 little 3-bedroom granny flat. We renovated that property for over about 8 months and actually sold that late last year for like a decent little profit and then we’ve this year reinvested from that property and the sale of the property in Sydney into one dual occupancy that we have just finished building in Brisbane. We are also building our own home at the moment in the sunshine coast and building in another spec home down in the Gold Coast basically that we’ll sell before the end of the year as well. Reinvesting those profits to grow is part of our strategy now. Ryan: Okay. Do you think that your strategy will be continued to sell off these properties or you are going to hold them like you said the Gold Coast one you are looking to sell. Is your strategy to purchase, renovate and then sell on. Ben: That was our strategy until I learnt that people don’t really accumulate decent size property portfolios and wealth. Buy the right properties, maybe they will take a bit longer to buy those properties and then hold them longer term so our strategy is to basically and hold one decent property per year for the next sort of ten years and at the same time build and sell 1 to 2 properties per year to just make that chunk serve 30, 50, 60 to $100,000 topping a couple of times per year. Ryan: Would those chunks go towards to pay for the deposits of other properties do you think or will that be living money and stuff like that? Ben: This is almost becoming our passion really and so it’ll just be 100% reinvested into new properties or put in an offset account against the current home loan to register interest on that land as well. Ryan: Its sounds like you have got everything worked out and I think that’s what it sounds like. With property it’s about finding a strategy that works for you and then rinsing and repeating over the years. Would you agree? Ryan: It sounds like you have been through a couple properties to work that out. Ben: Oh yes we’ve got some stories for sure. Yes, it is all part of a journey and part of the fun and I think if we hadn’t dabbled and tried and failed and failed again we probably wouldn’t work out the strategy now that seems to be working at least at the moment a lot better than what we’ve been doing in the past. Ryan: Let’s move on to advice that you would have. You have told us about your story and what you have achieved at such a young age which is very commendable. What would you recommend to new people going out there who are looking at buying their first property, what kind of steps would you recommend they take? Ben: I think number one and what I really didn’t do enough I had read those couple of books and thought okay I understand the property market let’s rush out there and do it. If I had taken the time to find a site like On Property and to go through the backlog of assorted blogs and the videos and those sort of things and just really understand the intricacies of I supposed mortgages, tax, working with solicitors, finding undervalued properties and as you said before really developing a strategy before you begin so that you’ve actually got a goal in mind that you can achieve that would be huge for me and that would be definitely where I would start if I could sort of go back and do it all again. Ryan: I think you see that so often is that people obviously passionate about becoming financially free, Obviously who isn’t, and they decide they want to jump into the property market but they don’t set any financial goals from the outset and say okay well I’m investing in property here is what I actually want to achieve and how am I going to buy properties that help me achieve that goal. A lot of people just jump in and go okay I want to be rich let me just buy a property and they really have no idea and I think what you said about choosing a strategy first and having those goals first help you actually narrow down the field from every single property that’s available for sale in Australia which is a big pool to look at to a smaller pool of what you want to achieve and what types of properties are going to help you achieve that. Ben: I am 100% in agreement. I remember rushing into the market and behaving like a kid in the candy store just going oh my gosh, getting dragged here and there, different states, different types of properties, different suburbs. Pretty much anything that I thought was under the market value I would put an offer in at the time and in reality at the time and in reality it’s not about buying on the market value. It’s about buying something in value that you can add real value to. Buying $20,000 – $30,000 under the market is fantastic and I fully encourage getting those discounts but finding something where you can add $70,000 to $100,000 worth of value to what that $20,000 cost is and how you make those real quantum leaps in property and move forward faster. Ryan: Let’s talk about then on that train of thought. A lot of people when they’re trying to get into the market or they want to invest in property outside of their own home they do that and they might say okay I want to make some quick cash, I want something that’s discounted and they’re looking all over. What do you recommend to people to really narrow their field of vision and to help them choose something that as you say that is value and that they can add value to? What should people’s mindset be and what should they be looking for when they’re doing that, so they’re not kind of looking here and there and all over and getting torn this way and that way? Ben: I suppose in my mind now and again it is just probably my insanity coming at the thought of properties in Australia and there are three (3) types of property educators, there are people who focus on building new properties, there are people who focus on developing or building a positively geared portfolio and there are people that aspire to build or buy ______ (unclear) 17:56-18:03 within a safety geared Sydney Market and that negatively geared model and sort of wipe capital gains . I think that the first thing is you’ve got to really look at your personal risk profiling goal. What am I prepared to lose or what am I prepared to do to jump into the market? What are my personal strategies? Am I going to specialize in building new properties, positively geared properties or the negatively geared properties? And from there reverse engineered back to where is a suburb that’s been earmarked for potential growth over the next five years in terms of if there is significant government investment, train lines, skills, health facilities that sort of support and everything that we talked about and whether do I feel comfortable enough actually investing in it. Once you have found an area that you can focus on its only then that you can begin to understand the suburbs and then the streets and then the properties which are actually your value but until you have found it is so difficult to actually buy without having that strategy or that goal and that focus. It is almost impossible to actually invest and not just wing it in the property market at the moment. Ryan: You really recommend choosing a strategy first and then trying to hone in on a particular area that you may want to invest in and then doing in-depth research into that area in order to find a property rather than just saying okay I want to purchase a positive cash flow property or a negatively geared property and let me just look at all the ones that are out there and all the different suburbs or towns or regions. Is that what you are saying to understand an area and to know it inside out basically? Ben: Yes. I think for me personally that’s the only way I feel comfortable investing now unless you’re lucky enough to have fantastic relationships or great buyers agent that you trust and that will actually work for you and get you the best deal. Yes, that’s definitely my best strategy anyway. Ryan: Yes and that’s what I think I would prefer as well, actually understanding an area and knowing it so that you can pick apart the properties in those areas and find the good deals because under the impression that across Australia it’s not like there’s only one good place to buy property there is a lot of good areas to buy properties and the key is to find a good property in that area. So with finding an area and that data that you talked about like government infrastructure, employment and stuff like that, I know that some stuff you can find through the Census and stuff like that in terms that who’s being employed by who but where do you find the data for government investments and what other stuff should be we’ll be looking at when they try to choose an area? Ben: I’ll actually recently stumbled across a video that you put together last week which really helped me and that was and around getting free suburbs reports. I think that was a valuable video for me and I had no idea you could easily get access to that sort of data so easily so that is something I would encourage people to go and check that out. Outside of that I am a big believer in two channels one of them are paid data, but that does cost a monthly subscription fee and that’s small for people I supposed that are really really deep in the game and then Residex releases a couple of reports each quarter one of them being their pick for the top 100 suburbs in Australia for capital growth and their top 100 one suburb per state for actually positively geared property and that’s really where I start when I’m going to look for a good property. 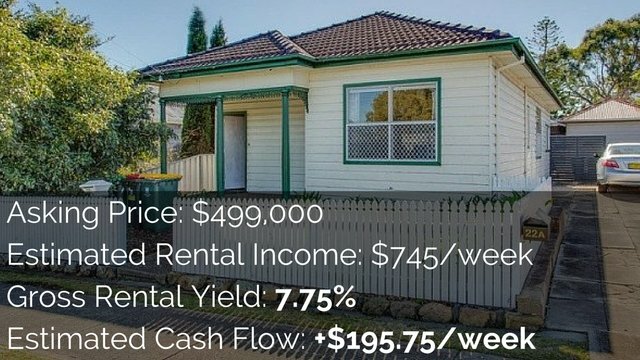 There are other good sources like Australian Property Investor magazine or Your Investment Property Magazine and unfortunately because they have got such big audiences often by the time they are publishing it, it might be too late for a suburb but it still definitely gives you regions to begin looking. Ryan: That Residex report I’ve heard about that before, I think it about 100 bucks or 300 bucks. Is that right? Ben: Anywhere between $100 and sort of $400. Ryan: Obviously it’s not the be all and end all of all reports, something that will say to you okay here is the suburb you should invest. What kind of stuff would people get from a Residex Report? I’ve never actually seen inside one. Ben: Basically it will look at like the spread a hundred suburbs, potential suburbs based on average rental yield, average capital growth in the past, predicted future capital growth, what those key drivers are in that market, supply and demand and stuff like and it will just be a simple one pager on each suburb and then it just it’s just a quick way to analyze the state. For example, like here is ten suburbs if your goal is to get a 7-10% rental yield; here is twenty suburbs of a hundred that fit that criteria and it allows you to refine and then you can do further research yourself. Ryan: And that’s the thing when you’re investing hundreds of thousands of dollars into a property I think spending a couple hundred bucks on a report like that where if you can really refine your search you can save yourself so much time by just knowing that okay I am just going to look at these couple of suburbs or at least couple of areas would be well worth the investment. There’s actually a free way you can get RPData reports including legally. The Bank of Queensland has an app where you can get the reports on you iPhone or Android device. I did a full video on inside Property Plus where basically if you just search Bank of Queensland property they have one yet where you have to enter your details as basically they want to get new customers so they are offering that as a free service. I am sure if it is a full RPdata report on like the property but it’s a pretty good one. When you do RPData report you are talking about suburb reports or the property reports? Be: What I use RPData for (I’m lucky enough that my father-in-law subscribes to it.) is more I have identified my suburb; I have identified my approach; now I am looking at individual properties or individual streets and it will just back date the history of rates in sales in that area, rates in sales of that property, what did the last owner actually paid for the property, so if you know I bought the property twenty years ago for $30,000 and then tried to sell it to you for 400 grand then there is probably difference in negotiating there because they’ve already made good money what’s $10,000 to them. Ryan: I think it’s very interesting to see that data because when you see someone paid $280,000 for a property and then selling it for $280,000 the market hasn’t moved the chance of actually negotiating with those people is very little because they obviously don’t want to lose money. People who aren’t lucky enough to have access to RPData there is actually a site called onthehouse.com.au which has a lot of that information as well. It doesn’t have as many properties as probably RPData does but it does have a lot of them so all you need to do if you are interested in property literally just Google the street address and then just write onthehouse as one word at the end of your Google phrase and it’ll bring it up and you can check it out or can go to onthehouse.com.au and it will shows you exactly what we talked about, past purchase prices, it might even shows you listing history, it can even show you rental history if there is one that you can have access to, it just has a massive wealth of information for free. I might wrap this up soon but let’s just talk about after people buy that first investment property, let’s say that they have done what we talked about and they did the research and they have chosen a suburb, they have jumped the gun they have purchased a property, what do you think are some strategies people can do, I don’t want to say what can they do to add value because that could just be a whole other episode in and of itself but in what way should people be thinking in terms of the potential for their properties? Does that make sense? What adds value to a property? I don’t want to get into the granular like do your flooring, this type of wood or something like that but when it comes to the general property market, what sort of value, what sort of things add value to property? Ben: We recently did a survey through one of our businesses of about four thousand residents across Australia in terms of what is meaningful to property for you in terms of what are the things that come to mind. 90% of people said that the kitchen was the most important part of the house. The second most important part of the house was the bathroom and the third being the living space so I think if you reverse those findings back in terms of what the people aspire to have in their own homes there are three areas anybody should be focusing on first and foremost to adding value because that’s the perceived value in your potential customers eyes if you are selling the property. Therefore, I always focus on those three places outside of that there are many other things you can do in terms of buying and splitting blocks and all that deeper sort of property development stuff as well. Ben: Yes, definitely and I mean the good thing about when you are starting out is you don’t have a lot of money so you’ve got to get smarter about the way you do things and that’s where you pick up a lot of the skills that serve you once you start getting a little bit of momentum behind it to re-invest as well. Ryan: Yes. I want to give you a chance now to tell people about Pumped On Property and anything else that you think will be useful to them. I think your website is a great resource. I have actually started contributing to your website slowly but surely and I’m really excited to see where it’s going. Is there anything else people should know? Ben: As I have said that the start of the video Pumped On Property is really just a great resource for under 40-year-old investors looking to get information and education from people that are actually out their investing. I suppose in terms of what we see our vision is moving forward, its continuing to connect with people like Ryan and On Property who from their experiences and bring their experiences to you. We got a team of about 11 experts now across tax, accounting depreciation, positively geared property, design, renovations, builders, all those sort of experts, lawyers, accountants and really they are sharing their experiences with you guys as investors and hopefully we continue to produce content and then continue to learn and grow and hopefully a few people can come along for the journey. Ryan: Awesome. Ben, we will be doing this together side by side, trying to make the Internet a better place and help people learn more about investing in property so that it feels like they are just shooting a duck. Thank you so much for coming on Ben I really appreciate you sharing your story and some tips about up searching for your first property and adding value and I found that very insightful myself and for me it just really confirmed a lot of what I believe already which is narrowing down your search, having financial goals and then looking at particular suburbs and really understanding them on a street by street basis so you can know when a property is a good deal rather than just – I think a lot of people go in and they’re looking for the quick money and they are like okay I’ll just buy that property and they really know nothing about it. I think you really cemented that idea for me and I just hope people take that on board because that is so valuable and so worth people listening to. Ben: Thank you so much for the opportunity Ryan. I really appreciate it. Ryan: I have to reschedule another time to hear more about the Frankenstein house and now on what happens there. If anyone wants to check out Ben please go to www.pumpedonproperty.com. Check him out, he’s got a panel of experts over there, new content every single week over his blog multiple times per week, really valuable content and I hope that you guys check it out and I hope that you have found this valuable. Until next time remember that your long-term success is only achieved one day at a time.